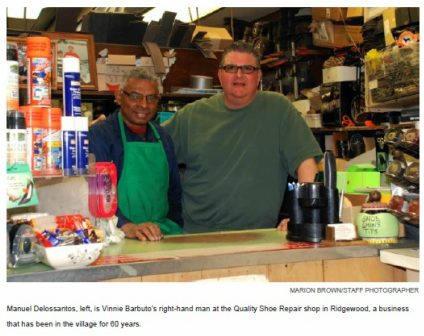 Since 1957, The Barbuto family has served the 'soles' and 'heels' of Ridgewood and surrounding neighbors in New Jersey. Vince and Manuel are craftsman according to the old fashioned definition-they provide excellent service and workmanship with a smile. Now offering convenient curbside pick up.